Hello, hello! Back again with another Netflix film review and today is my Halloween special. As a lifelong fan of the horror genre, it's pretty hard to narrow down my favourite horror films. Taking a little look at the US and UK versions of Netflix, I decided to put together a list of scary flicks, all available to stream in the comfort of your own home in the build up to October 31st. In a blend of the supernatural and psychological thrill, The Babadook is an refreshing and chilling Australian horror. Seven years after the tragic death of her husband, Amelia (Essie Davis) is struggling to cope with life as a single mother to a child with severe behavioural problems. Son, Samuel (Noah Wiseman), is aggressive and suspended in his thoughts of story-time, magic tricks and monsters. When a mysterious and disturbing children's book appears on the shelf, Amelia battles with her son's fear of a monster, "The Babadook", lurking in the house but soon discovers a sinister presence hovering over her. Having made it's way in to the official Top 25 horrors of the 21st century, The Babadook is certainly one to check out although it's very much a marmite movie - you'll either love it or you'll hate it. An outstanding piece of modern horror, The Babadook gets a Sophie star rating of 4 out of 5 stars. American Psycho may seem like an obvious and generic pick but it's available on Netflix and it's excellent so it had to go on the list. Based on the Bret Easton Ellis novel, Patrick Bateman (Christian Bale) is a wealthy New York banking executive, consumed by the yuppie lifestyle. Despite having a fiancee (Reese Witherspoon) and an active social life, Patrick hides his alternate psychopathic ego from his co-workers and friends as he escalates deeper into his illogical, dark and gruesome fantasies. An incredible story that also sees performances from Jared Leto, Willem Dafoe and Chloë Sevigny. If you haven't seen it already, where have you been? And if you have, well done - now watch it again. 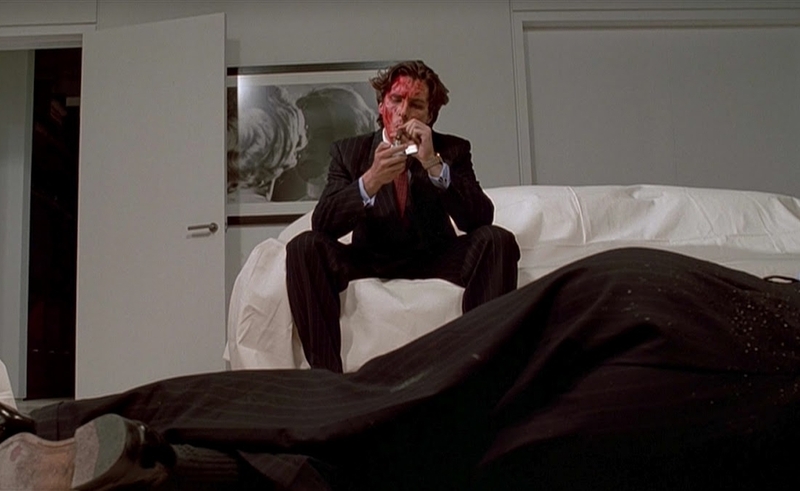 Forever on my list of top dramatic horrors, American Psycho gets a Sophie star rating of 4 out 5 stars. If you're looking for a slightly more light-hearted scare, check out kiwi horror with a twist, Housebound. Kylie Bucknell (Morgana O'Reilly) is forced to return to her childhood home when the court places her under eight months home detention. Her punishment is made all the more unbearable by the fact she has to live with her crackpot mother - Miriam (Rima Te Wiata), a well-intentioned blabbermouth who's convinced that the house is haunted. Having dismissed Miriam's superstitions, Kylie fills her time watching trash television and eating junk food but It's not before long that she becomes privy to disturbances in the house and begins to wonder if the house is possessed by a hostile spirit who is not so pleased with her new living arrangement. A truly hilarious yet also truly scary horror that I cannot boast about enough having seen it a few years ago at FrightFest. Sophie star rating of 3.5 stars. 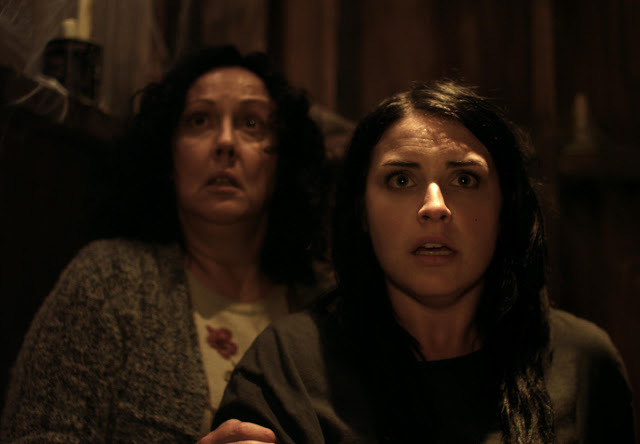 You can read my full review of Housebound here. 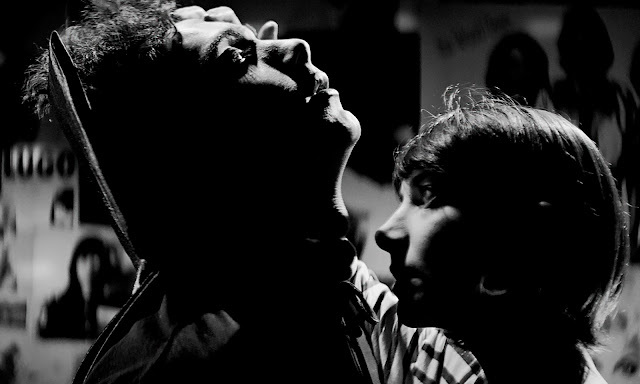 In the Iranian ghost-town "Bad City", a place of death and loneliness, the townspeople are unaware they are being stalked by a lonesome vampire. The second foreign entry in to this year's Halloween list is Let the Right One In, a beautifully shot Swedish vampire tale set in 1982 Stockholm. Oskar is being ruthlessly bullied at school. Feeling isolated and overlooked, he finds an unusual friendship in Eli, a bizarre girl living next door. Eli's friendship gives Oskar the strength to fight back but she will need help in return. The American remake, Let Me In (Matt Reeves), went on to be made in 2010 and it is nearly shot-for-shot however it lacks the originality. Personally, I'd recommend the original as it seems that Sweden just know how to make a horror. Let The Right One In gets a Sophie star rating of 4 out of 5 stars as is available on the US version of Netflix. For those of you weirdos who haven't seen this yet, Scream follows high school student Sydney, as she struggles to cope with her mother's death. Following the graphic murder of one of her school mates, Sydney and her group of friends soon realise they are being stalked by a murderer who seems to have a hard time letting go of the past. Legendary horror director, Wes Craven, passed away in August and it seemed only fair to honour him in this post. Scream was one of the first horror films I encountered and I still remember being fixated by it, kick-starting my love of the genre. Though it is cheesy in some areas and utterly self-aware, Scream still emerges as a key piece within the slasher sub-genre. A fantastic piece of teen horror that is a credit to Craven's legacy. Scream has and will always get a Sophie star rating of 4 out of 5. Of course this list could of gone on and on and I purposefully haven't included any of my choices from last year's list despite them being available on Netflix now also. What are your horror favourites? What are you doing this Halloween? I've been meaning to watch more Slasher films so I've definitely got Scream down on my to watch list. I saw The Babadook earlier this year and was HOOKED. I loved the storytelling and the psychological factor, and the stop motion aspect of the film was such a wonderful addition, seeing as how the film centers (sort of) around a young child. I'm not much of a horror film watcher, really, because I'm just a wuss like that, but I do want to get into them. Soon. Wonderful list and post, Sophie! Scream is such a classic!! 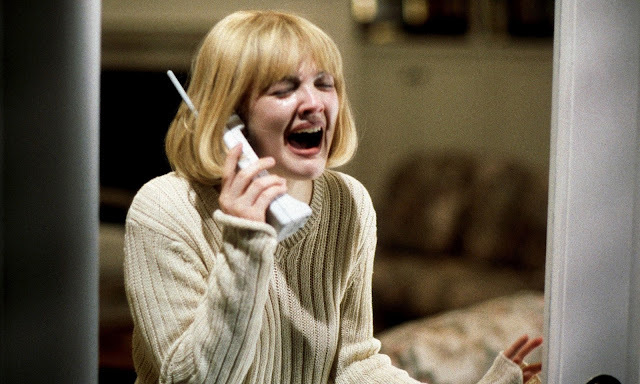 I adore the original Scream & I rewatch it every year. I've not give the tv series a go yet though. I really want to watch The Babadook, I've heard it's great! I love let the right one in! So good and creepy! The Babadook on the other hand didn't do anything for me! I didn't get scared once! Insidious Three is what I'm watching this year & Most Haunted live because I wanna see a ghost!!! It's really hard for me to find a really scary or creepy movie. Thank you for this list, will be helpful this season! I remember watching Let The Right One In a few years ago & thinking how it was nothing like I'd ever seen before... & of course, Scream is a classic! Great Halloween picks! I've been having a think about which films to watch this year & will have to include some of these. I've heard of The Babadook but I haven't seen it (actually I haven't seen any of the 2014 ones) so I'll be checking some of those out. I hope you have a lot of fun this Halloween weekend, Sophie! Aw you'll have to let me know what you thought of them! Hope you enjoy. Thanks Gil, anything excited planned?